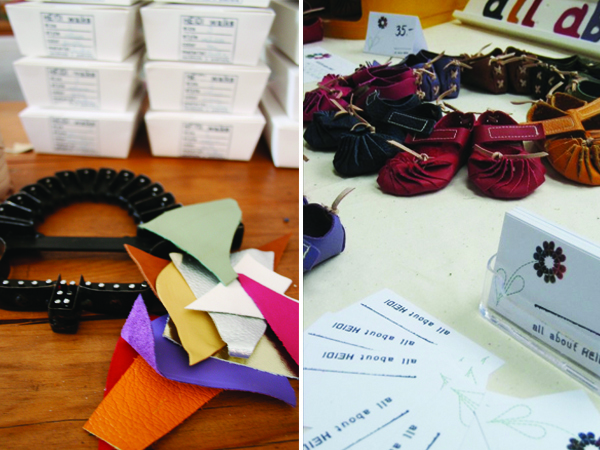 FK chats to the lovely ladies behind kids shoe label, All about Heidi. HEIDIwalks is your seamless shoe range for little feet. Can you tell us a little about it and how it all began? 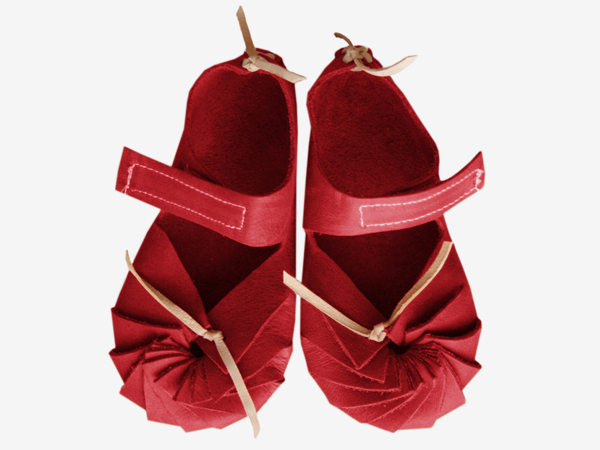 HEIDIwalks is a soft leather shoe for babies and toddlers inspired by genuine shoe craftsmanship. 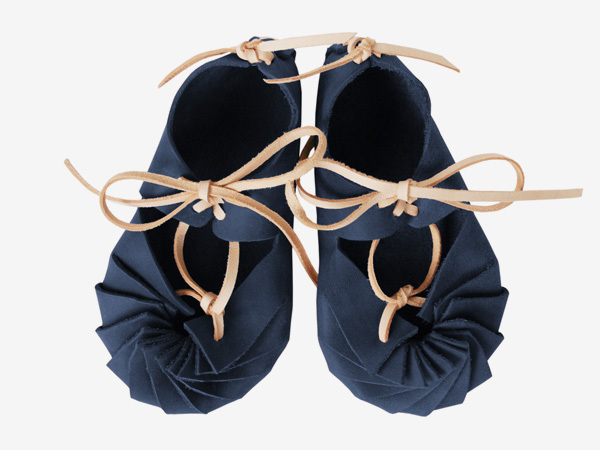 The shoes are made from one piece of leather so there are no uncomfortable seams for children’s feet. They allow for growing and moving, as well as offering protection on any little adventure. As for the idea… it was watching Jette’s daughter Mila, trying to crawl. Jette remembered a simple leather shoe she used to wear when she was little and that is when the idea for ‘all about HEIDI’ evolved. The final designs emerged after some prototypes and lots of test wearing from Mila. Tell us about your background and how its lead to where you are today? We both grew up in Germany and moved to Australia about ten years ago where we met. We grew up in very creative environments – Manuka in an art commune and Jette with open-minded parents who sent her to a Steiner school. Those years definitely influenced us and gave us an appreciation for raw and natural materials and designs. Jette worked in the photographic industry both in Hamburg and Sydney. She learned to process film and develop photographs the traditional way in the darkrooms of a professional photolab as well as touching up images. And with her ‘Steiner minded’ background she was always a pretty hands on person when it came to changing or creating something beautiful to wear. Manuka went on to study fashion design in Berlin and then did her Masters in costume design for film and tv in Sydney at AFTRS. She worked in the fashion and film industry but her real talent and love lye’s in transforming clothes as well as furniture and to give them a new life. 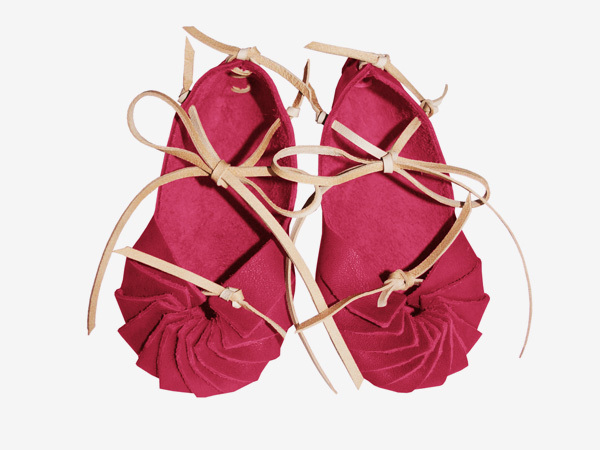 As soon as Jette explained the shoe she remembered and the way it wrapped around the foot in an almost origami and flower petal like way, Manuka was hooked and we sat together combining our talents and knowledge to create our very first pair of shoes. We love everything natural and organic. We both love going to Sydney’s flea markets and going through old and interesting things and with a little work, turning them into new and beautiful things. What do you find most rewarding and most challenging about working with shoes? It’s great to get the positive feedback from mums and to see kids on the street wearing our shoes and loving them. The challenging part was creating baby shoes that actually stayed on, were comfortable and helped babies feet develop in a natural way. It was also fascinating to find out how different baby feet are, how length and width vary so much for every child. This led us to create the HEIDIwalks with a knot at the front, designed in a way that can be loosened or tightened depending on the baby’s feet. What advice would you give others starting up their own label? Be passionate, patient, invest lots of time and a little bit of money and don’t get discouraged if things don’t move as quickly as you would like them to. What are you currently working on, and what are some plans for the future? 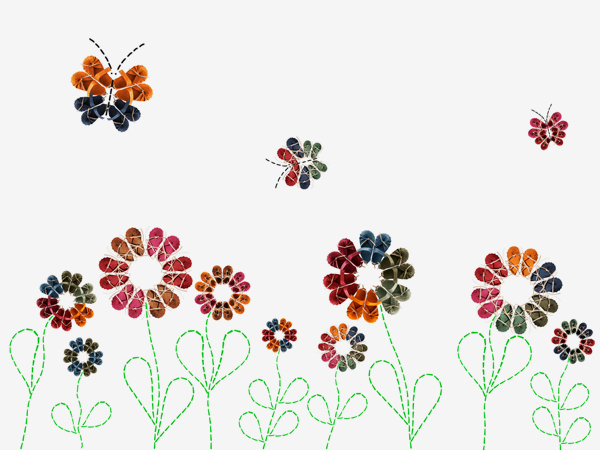 At the moment we are updating our website and creating an online shop. We are also in the process of creating a winter collection out of sheepskin. Superb post.All the shoes look so amazing.I love to wear these shoes.The design of these shoes is totally unique and awesome. 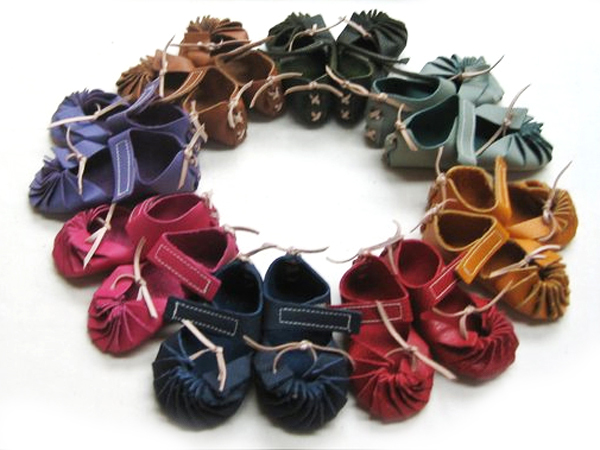 HEIDIwalks is a soft leather shoe for babies and toddlers. Unique and elegant girls shoes! Fabulous idea!